Volunteering is a wonderful way to help cultivate compassion in my children. They spend so much time studying and practicing sports that they need to set aside time to help others. It teaches them that everyone needs help once in a while, and if they have the ability to give it, they definitely should. I love taking my children to the food pantry and watching them get excited about organizing shelves or helping patrons bag groceries. 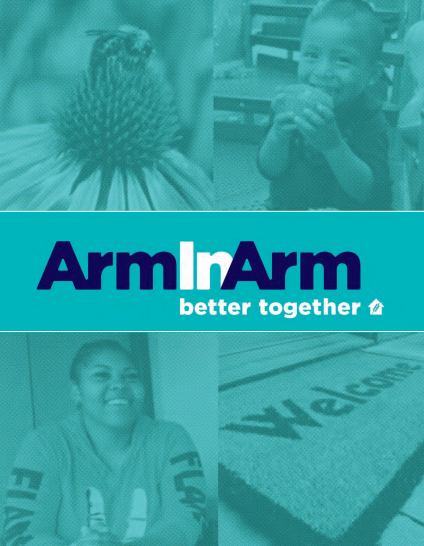 They understand what Arm in Arm does for the community, and it improves their outlook on the world. It shows them that there are people who are willing to get involved and go the extra mile, even for strangers. That is the kind of people I want my children to turn out to be.